I’m a journalist & researcher working at building next generation brain computer interfaces, neural lace, artificial cortex, and artificial brains. I’m a journalist for Silicon Valley Global News, I organize workshops with NeurotechSF and events with SF VR, I am with the Vision Agency so I can demo MicrodoseVR at your event. I run over 30 Science and Technology Facebook groups in the Virtual Reality Media Alliance representing well over 200,000 people. 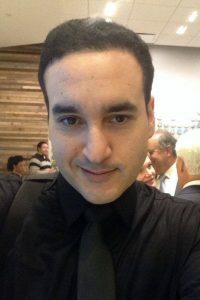 I write for Silicon Valley Global News, host podcasts and shows, host groups on Facebook and Reddit, and I organize science and technology events primarily because I find these activities to be synergistic with my efforts to discover new technologies, exciting new projects and super smart people. My mission is get one step closer to building next generation brain computer interfaces, artificial cortex, and artificial brains. I am the host of The Neural Lace Podcast, the NerveGear Show, and the Death Star Robot talk show. I study everything at the intersection of Virtual Reality, Neuroscience, Artificial Intelligence, and Blockchain.